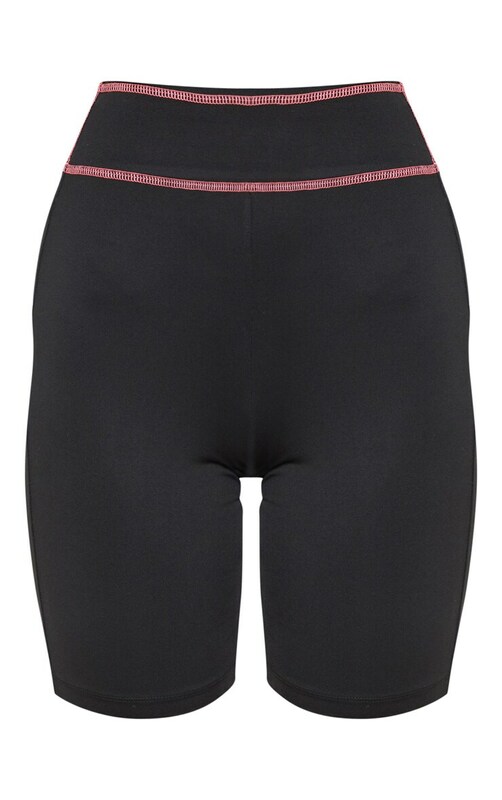 Workout in style this season with these cycle shorts. Featuring a black fabric with contrast stitching, a thick waist band and figure-skimming fit, you can't go wrong. Team with the matching sports top and fresh kicks for a look that is perfect your gym session.